I am not saying that there is something special about me or that I have a unique gift that others do not have. All that I’m saying is that I cannot believe how easy it is to spot liars, and I can’t, for the life of me, figure out why so many are so easily fooled. What was it George Orwell said? “In a time of universal deceit – telling the truth is a revolutionary act.” I can’t believe the average American can’t see through the deceit. Nearly everything the Left claims to believe is a lie. I have yet to figure out if they actually believe their lies or if they are simply passing on what their father tells them. Remember, the Devil doesn’t just tell lies…his very nature is to lie. 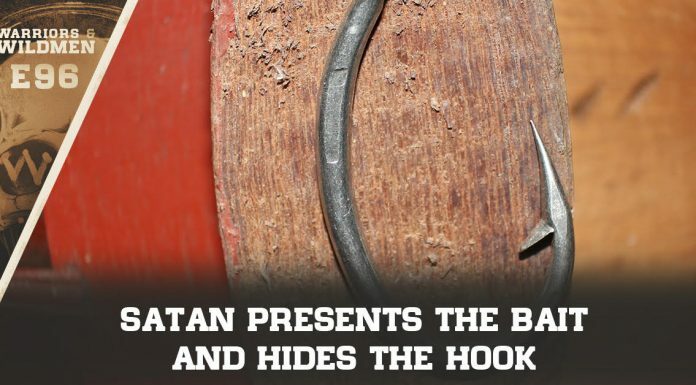 Satan is the originator; the father of lies. He is incapable of speaking the Truth. And that is what his children do. They lie. They act just like their daddy. Congress last week. She is a master deceiver. Lies usually aren’t bold and open, but are typically couched in the corners of an argument—hidden in the dark shadows of relativism. It is the way the Devil operates. Lying is most effective when it most closely resembles the Truth. Yes, a woman does have a right to choose, as the pro-aborts love to say, but it is the question that is NOT asked that makes all of the difference. Of course a woman has a right to choose, but does she have the right to choose murder? Asking the right question is the only way to get the right answer. Does a woman have the right to kill her child? Certainly not, but the enemy is subtle. He simply changes the name “baby” to “fetus.” Negroes weren’t considered people when folks wanted to own them. Jews weren’t considered people when the Nazi’s wanted to burn them. Babies aren’t considered people when people want to abort them. Choice is an open-ended statement. Choice, by its very definition, implies alternative options. Abortion is not “choice.” Abortion is murder. I remember watching Bill Clinton when he uttered the famous statement, “It all depends on what the meaning of ‘is’ is.” That was his father speaking. He is masterful at avoiding truth by parsing words. He was the poster-child of a generation of children trained in moral-relativism in America’s Public Fool system. Bill Clinton hisses a lot. He is an expert at hissing. His wife is as well, but her hissing seems easier to discern. Obama is a hisser…an expert hisser. Hissing is hypnotic. It often soothes the troubled soul by justifying a deeply held aversion to sin. The Bible calls it “the conscience”. An expert hisser silences the still small voice inside each of our hearts. The closer you get to THE TRUTH, the more you will recognize the lies. Read your Bible. Seek Jesus. The Holy Spirit will guide you to all Truth. Share if you want to OUT those who are lying to us.